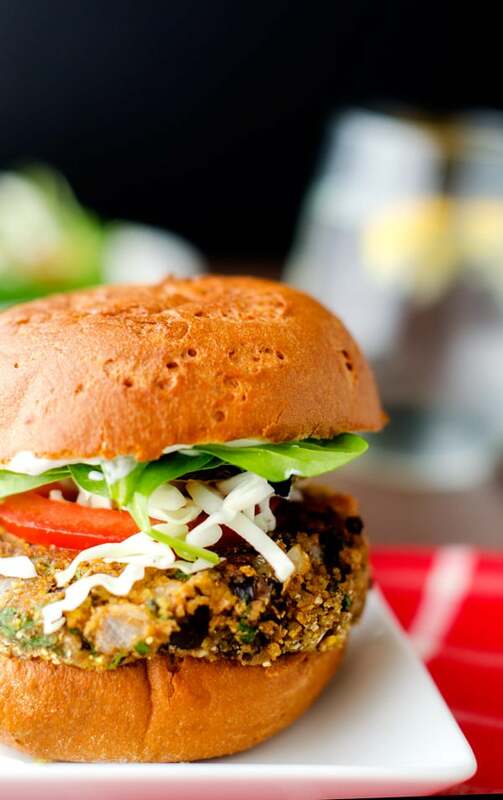 If you are looking for a satisfying Quinoa Veggie Burger, you are going to love this smoky burger. With just 221 calories it makes the perfect lunch to help you keep your health goals on track. They are so easy to make and taste incredible! I keep thinking that my life is going to settle down and that I’m going to get used to having a little one who doesn’t nap again. Unfortunately, that doesn’t seem to be happening. In fact, lately, every day seems a bit more challenging, mostly because my nap Bandit is getting more and more overtired. For the first few days that she skipped her naps she was sleeping in, but now she is back to getting up by 6 am. The only reprive is that she is easier to get to bed at night. While I dream of days spent in the kitchen creating something that feels a bit gourmet, my reality is much more quick and easy these days. I’ve found that lunch sometimes doesn’t happen unless I’m prepared ahead of time. 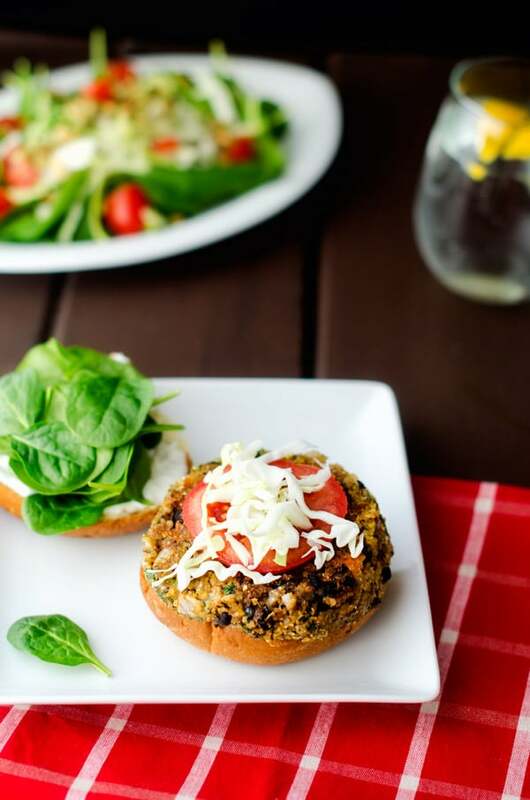 Last weekend, I made these veggie burgers and it was just amazing to be able to pull them out of the fridge for a quick lunch. The recipe made six and I decided to cook three and freeze three uncooked. Then I thawed the last three out in the fridge overnight and cooked them as needed. 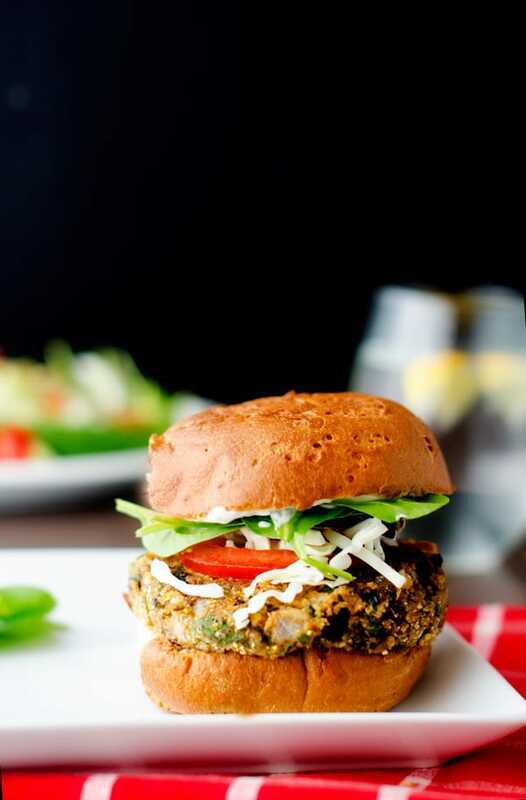 If you are looking for a satisfying Quinoa Veggie Burger, you are going to love this smoky burger. With just 221 calories it makes the perfect lunch to help you keep your health goals on track.. They are so easy to make and taste incredible! Place quinoa in a food processor along with ½ of the beans. Pulse until a paste forms. Add (flax) egg, cumin, paprika and sea salt and process for one minute. Transfer to a bowl. Stir in remaining beans, cheese, onion and cilantro. Place cornmeal in a shallow dish. Form quinoa mixture into patties and carefully coat with cornmeal. Transfer to a parchment lined plate and refrigerate for 30 minutes. Heat oil to medium in a heavy skillet. Cook for 7 to 9 minutes per side, until firm and crispy. 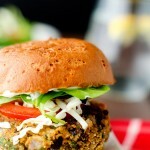 I absolutely love veggie burgers! I’ve never made my own.